This post is in partnership with KidKraft. As always all opinions here are my own. Pretend play has always been one of my favorites. I remember the play kitchen at school was always one of my favorite places to play. My girls are the exact same way. They love to role play and they love to pretend. But did you know that these toys are not just toys? Play kitchens are the source of so many great learning experiences. These experiences vary from learning colors to helping with math skills. Of course my play kitchen was nothing like the one these lucky girls call their own. Nowadays, play kitchens are made so beautifully and equipped with accessories to help encourage motor skills. 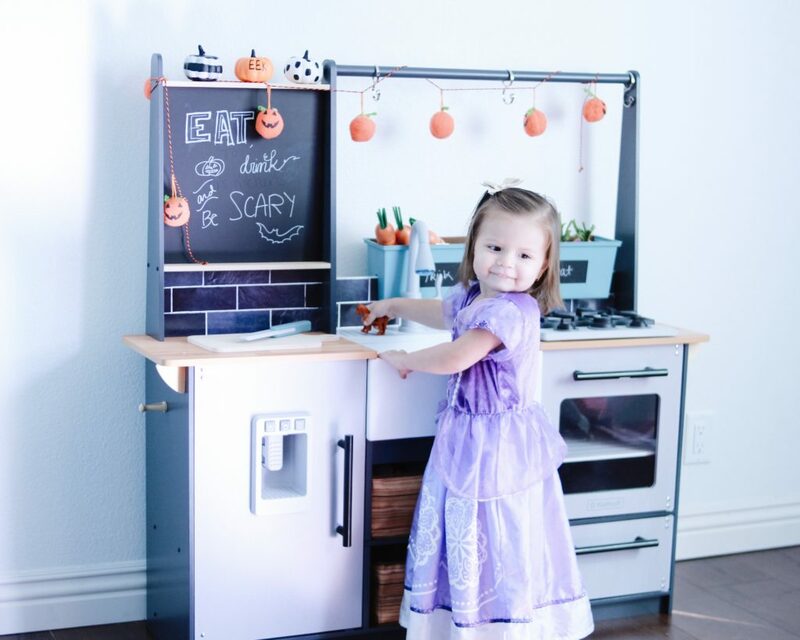 Lia and Zoey are the lucky owners of the KidKraft FARM TO TABLE PLAY KITCHEN with EZ Kraft Assembly. 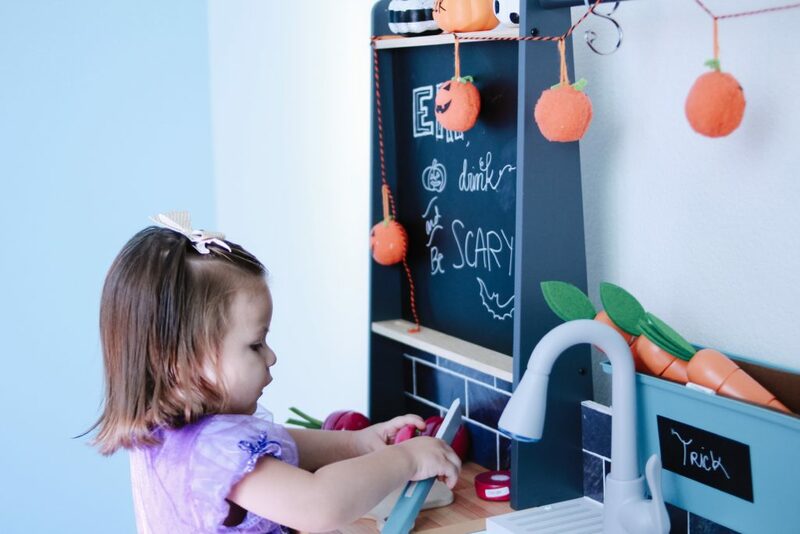 The Farm to Table Play Kitchen is equipped with a chalkboard area, refrigerator, farm sink, stove top, and oven. Not only is it adorable and makes me wish my own kitchen looked this way, it was super easy to assemble. You can use the EZ Kraft Assembly option, an interactive app guides you along the way until you finish building your little one’s kitchen! 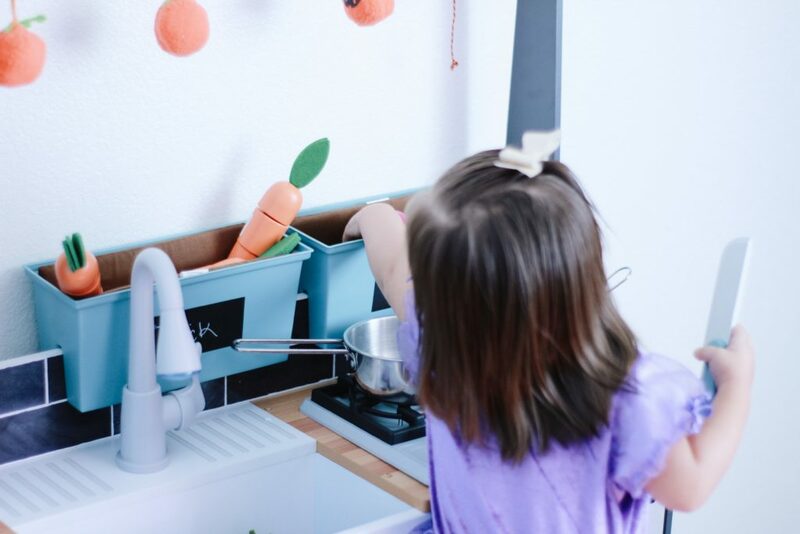 Along with the already beautiful setup, your kiddos also get these super cute window boxes where your little ones can “plant” their carrots and purple onions. Lia loves to pull the carrots and onions, place them on her cutting board and chop them up! Yes you guess correctly, it comes with cutting food she can easily chop up and velcro back together! The Farm to Table Play Kitchen is not just adorable, it is also so beneficial for them. 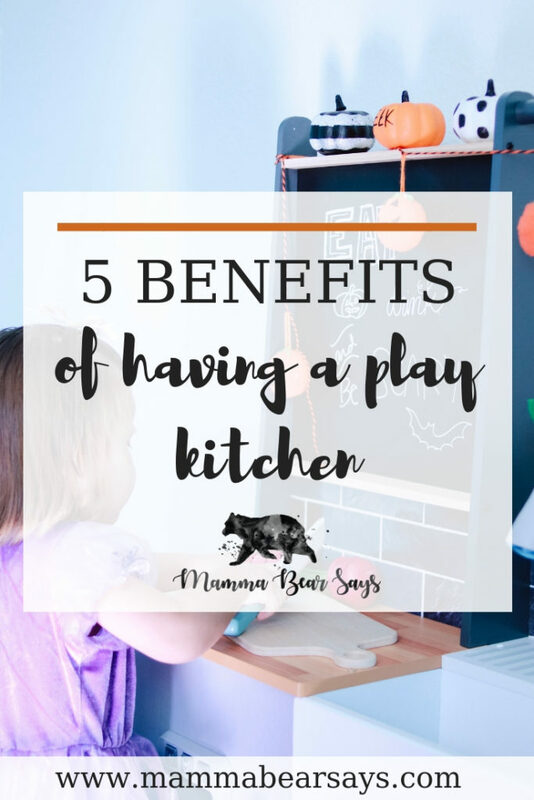 The Here are my top 5 benefits of having a play kitchen. 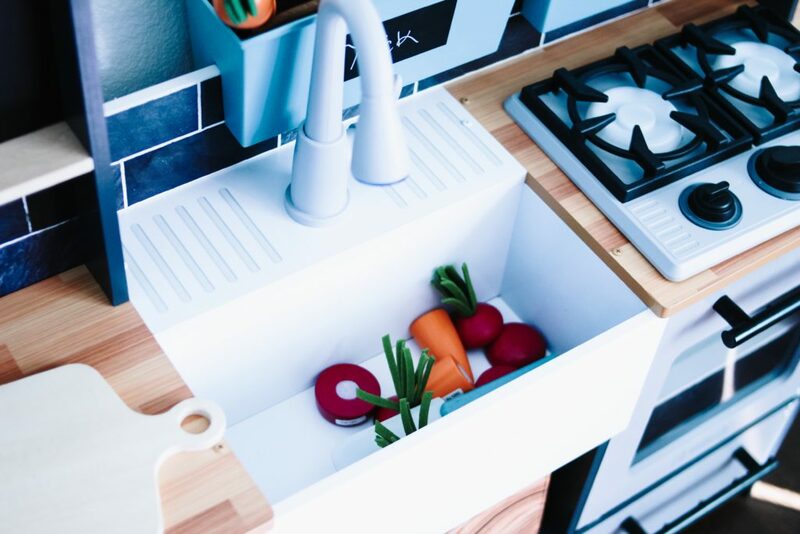 We were in cloud 9 when we found out the Farm to Table Play Kitchen came with cutting foods. 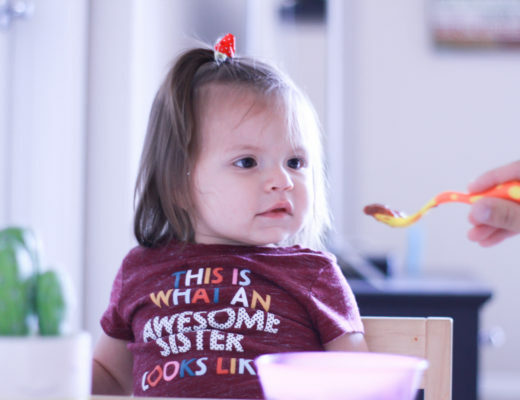 Grabbing foods and utensils is great to develop their fine motor skills. One of her favorite activities is chopping veggies, she has learned how to control the pressure she needs to chop up each piece. 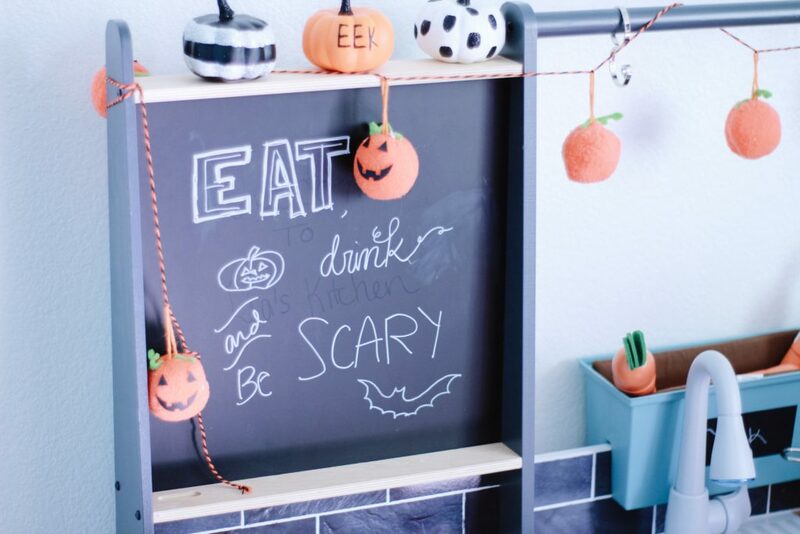 Just like your kitchen mama, your little one will learn where to place certain things in their very own. They will learn where they want to place things and all the compartments they are able to use for it. Another type of organization is that of assigning roles. 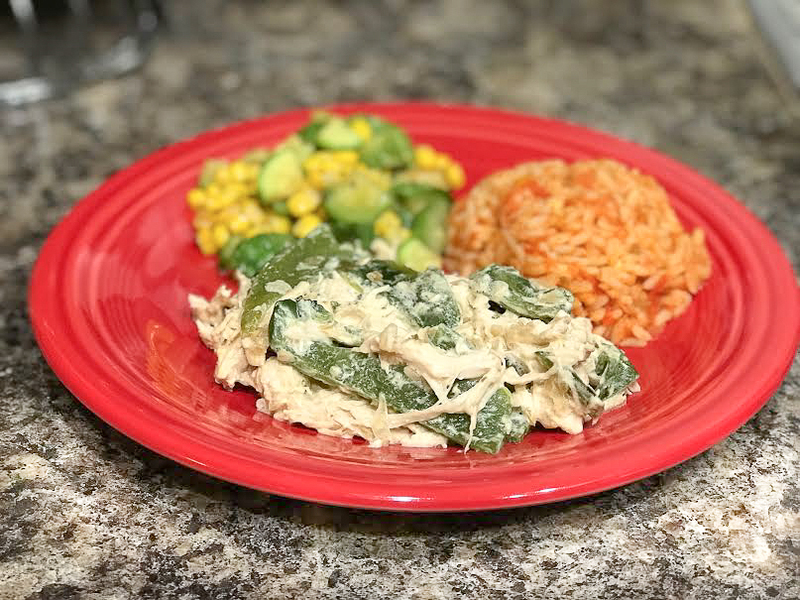 Whether you are cooking alongside or there to enjoy their play meals. 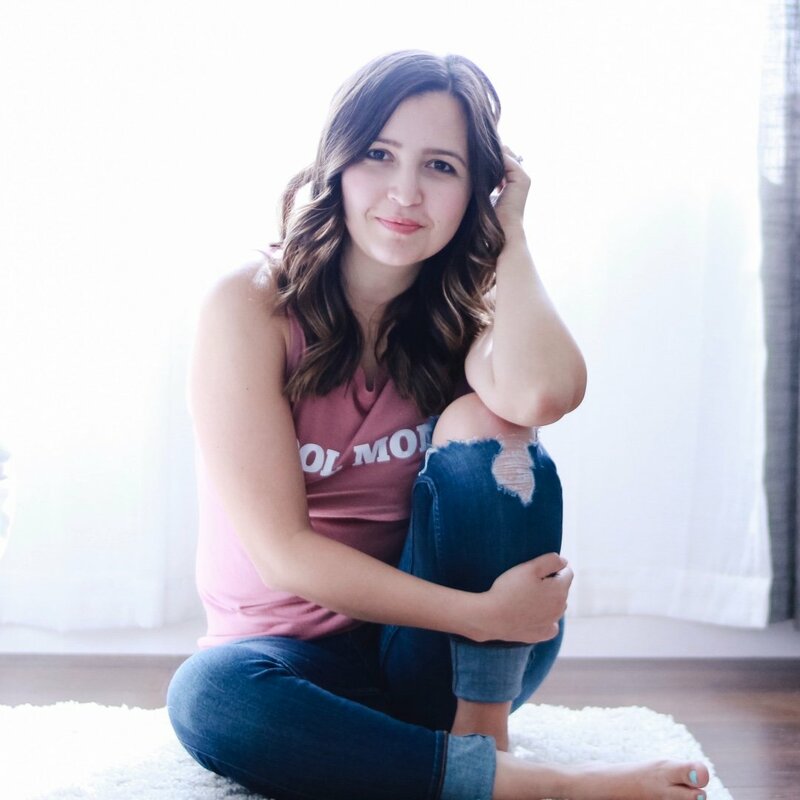 I take any experience as an opportunity to help develop Lia’s language. Having a play kitchen gives us the ability to teach her words used on a daily basis. 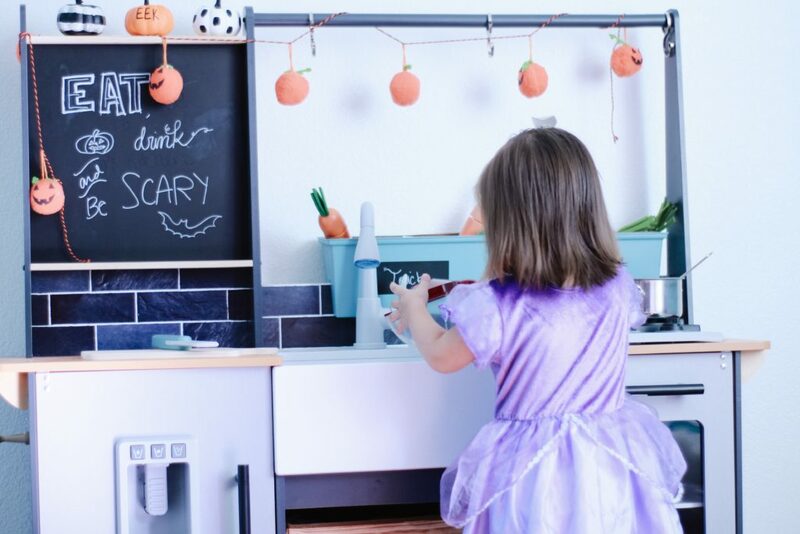 We have the opportunity to teach her names of fruits and veggies along with simple actions in the kitchen as well. The Farm to Table Play Kitchen has so many parts to it that your kiddos can definitely work in pairs or more. Take this time to encourage working together to get meals cooked faster or deciding what to cook, etc. Letting children engage in role play gives children the opportunity to act our real like situations they are familiar with. 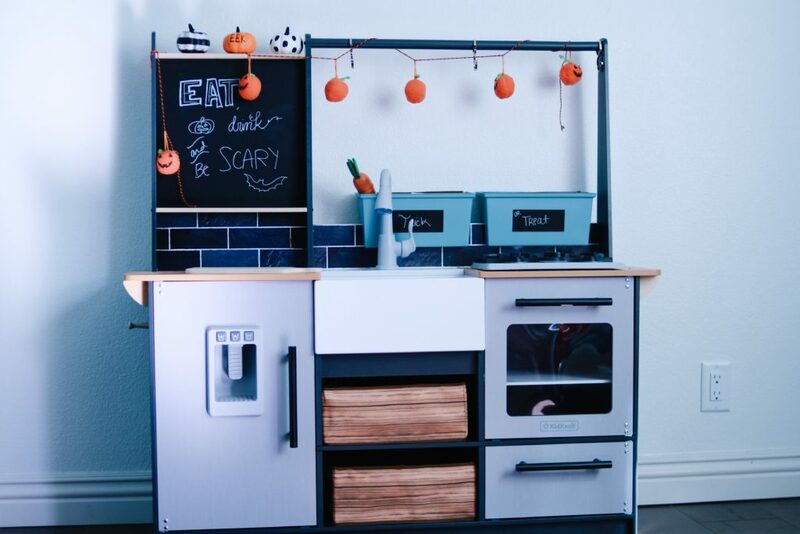 In the case of a play kitchen you are teaching your kids basic cooking and cleaning actions. 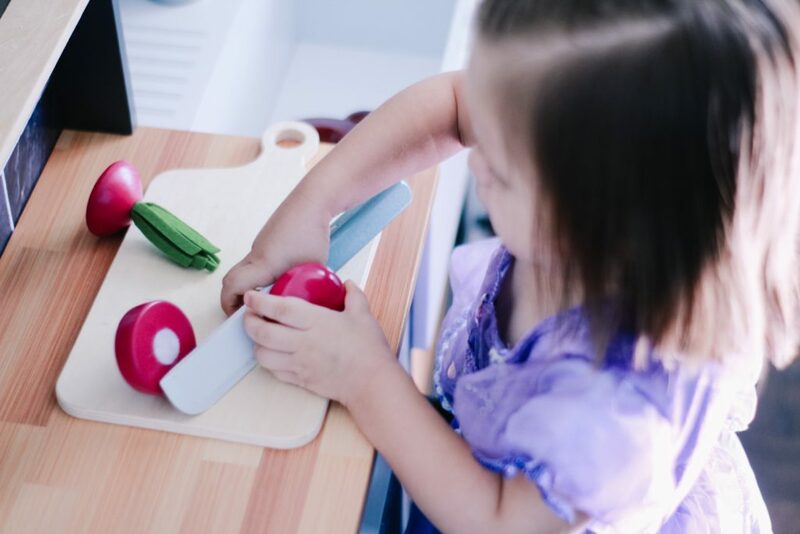 Pretend play will help them understand the world by letting them experience what it is like to cook in the kitchen.